Jolly LLB 2 has released and is expectedly fetched good reviews from all quarters. The film is being hailed for its strong entertainment quotient that is blending realism factor well with mainstream. 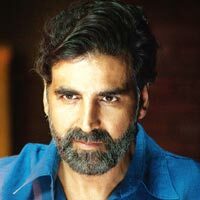 Meanwhile, the star of the show, Akshay Kumar, has come up with a very good act all over, something which is placing him in the running yet again for the top honors when the awards (with credibility) are announced. Though that is still far away considering the fact that 2017 has just begun, we get into a conversation with the man himself. Here is presenting Part II of the exclusive conversation with Akshay Kumar. As a matter of fact, the kind of ‘desi’ character that you are playing in Jolly LLB 2 is one of the most non-filmy persona that you are carrying on screen ever since one can remember, isn’t it? Absolutely! I can’t tell you how good it felt to play someone who is fighting to make ends meet, rides a scooter to work, wears local shoes and terrycot shirts, and a moustache to boast of as well. After all, it just wouldn’t be right if my upper lip in UP wasn’t protected by something (smiles). I relish in the fact that I was able to shed my starry persona and get down with the nitty-gritty of my character and just portray a man everyone in our country can relate to. This very simplicity and reality is also prevalent in Huma Qureshi’s character as well. Since she comes from a different school of acting and is paired with you for the first time ever, its going to be a unique experience for the audiences, isn’t it? To be honest I don’t quite know where our dear Huma comes from, in the work ethic sense. But yes she is trained, yes she is brilliant at delivering what is required, and yes she is dam good at her job. She held back as well as gave everything when needed. It was nice to be married to a woman on screen that locks you out for coming home late (smiles). It reminded me of home. Even though I bought our house, if my wife has locked the door to get upstairs then it means I am sleeping down tonight (smiles). ‘Women with power’ – You got to love them! Your adversary in the film is another superb actor, Annu Kapoor. Guess it’s this very clash between him and you that forms many highlight scenes of Jolly LLB 2, isn’t it? Oh yes!! The never ending clash between Annuji and me!. We have a rather rare connection for two people that come from such different schools of acting. Meaning, he went to school and I didn’t (smiles). Yet the respect we share on & off the screen is extremely humble. There are so many great actors in this film. I was literally surrounded by some of the most talented and educated actors this industry has ever churned out. There they were with the script all cleverly labeled with their own sub text. I improvise in the moment while they marvelously calculate their actions. It’s amazing to watch. It’s just not me. I literally felt like the school dunce and yet I am the lead! How did that ever happen? They remind me how lucky I am to be where I am in this world. Winging it really does work for some (smiles). You have also brought in variation in your body language, dialogue delivery and mannerisms to come across as a true UP man. Guess an instant connect is bound to be formed with your ‘desi’ audiences? That’s what I am hoping for. Subhash Kapoor sir brought the absolute best out in me or so I hope. Being a man from UP himself, he was able to concoct the kind of character I was born to play. He is a very wise and very experienced man. One of the reasons I thought this script was to die for was the fact that his homework, his past, his effort to dig deep into these court cases is so inspiring that one couldn’t help but fall under his spell. He is just brilliant. The kind of man he has made me play in this film, I’ll never forget. ""A film buff, a bookworm and a foodie, Jaidev Hemmady writes movie reviews and news related to Bollywood, regional films and Hollywood...""